GREAT NEWS FOR BREXIT BRITAIN GOES ON AND ON…. UK employment is now at a record high of 74.6% while unemployment is down to 4.7% – the lowest since 1975. The EU average is 9% – despite 3 million EU citizens finding employment in the UK! London has become the centre of the Fintech (Financial Technology) industry in Europe – with 4 companies in that sector worth over $1 billion – twice as many companies as the rest of Europe. The value of the UK’s top Fintech companies at $18.5 bn is four times the rest of Europe put together! In the 8 months before Brexit 2,000 programming and software companies were incorporated in the UK. In the 8 months after there were 6,000 – so much for the forecasts of the rather dim and totally unworldly “Remainers” who having made such an unholy mess of their economic judgements are now raising thousands of pounds to “persuade” the British people to reject Brexit. Some hope! 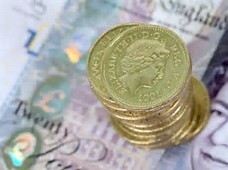 The UK Services Purchasing Managers’ Report for march hit a 3 month high of 55 (where 50 and above indicates growth). The all sectors PMI rose from 53.7 in Feb to 54.7 in March. The vacancies in financial services in London grew 17% in March compared to February and by 13% over the last year with job seekers down 25%. The election of Donald Trump and Brexit were supposed to be very negative for the world economy but the IMF now forecasts global growth this year of 3.5%, up from 3.1% predicted in 2016 and they predict the UK’s economy will expand by 2% this year, stronger growth than any of the major developed economies apart from the US. Jamie Dimon, of JP Morgan, who had previously warned of the loss of 4,000 City jobs to the continent now says he will move hardly any jobs in the next two years and that there was a greater problem with the future of the Eurozone than the City of London! The German company Siemens was a fanatical supporter of the UK remaining in the EU, providing a platform for David Cameron to announce his “deal” with the EU prior to the referendum (rather than tell Parliament first). But now chief executive Joe Kaeser meeting Theresa May at Downing Street said he was “confident and optimistic” about the “big opportunities” in Brexit Britain. And these are the “important” industrialists which the corporatist anti democrats and euro-fanatics call upon for their “wisdom”. These are the “British companies” who would never let the UK leave the EU said the former German Chancellor, Helmut – can’t speak another language – Kohl ! Yes – that is what the grotesque European Union now amounts to, both for its citizens and for the world in general – a “nullity”. Mass unemployment, weak banks, borderless and invaded, Jews fleeing persecution and youth fleeing unemployment. No wonder the British are celebrating their escape!